Take hold of an Olympic bar or a barbell at shoulder width apart. Use an underhand grip, i.e. your palms should face forward. Stand up keeping your torso and back straight, feet together, arms totally extended, and elbows close to the body. This should be your starting position. Make sure that the barbell does not touch your body. Holding your upper arms stationary, as well as keeping the elbows at your sides and eyes facing forward, curl the weights up. Contract your biceps and continue the movement until the bar is at your shoulder level. 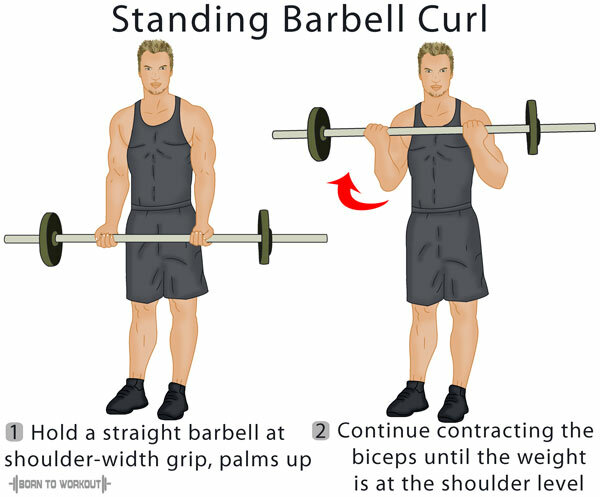 Squeeze the biceps at the contracted position, and slowly bring the barbell back to the initial position. 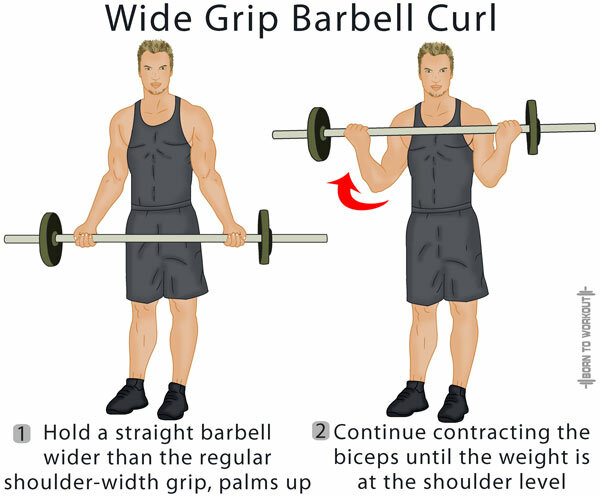 Performing this form of barbell curl is similar to doing the conventional barbell curl exercise given above, except that you need to hold the barbell as wide as you feel comfortable. This workout targets the inner part of the biceps. 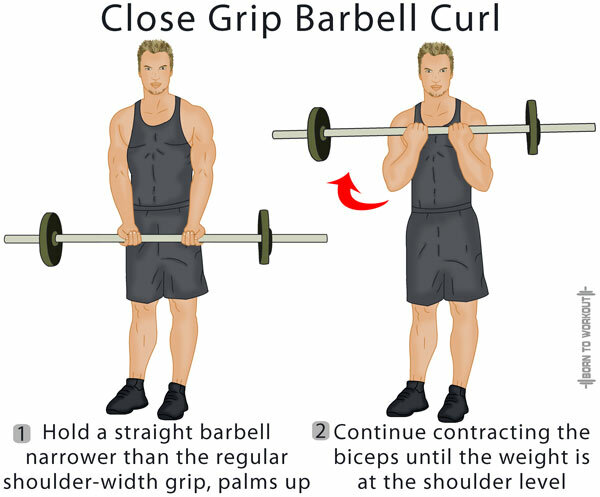 A variation emphasizing the outer part of the biceps, the close grip barbell curl is done by holding the barbell with only a few inches of separation between the hands. Do not swing your body back to help in lifting the weight. Use only your biceps to move the barbell and keep the body fixed. When you lift the weight, do not let the elbows come forward. Do not let the weight drop quickly.